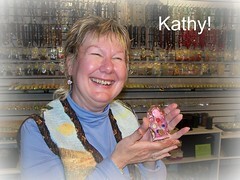 Well, I was the April Fool yesterday – I had a class scheduled at Grand River Beads and didn’t even remember it! Fortunately, Eva is the best and pulled me back to earth. I was honored to have 2 class participants yesterday: Dawn, a dear friend and former colleague, and Kathy, a new kindred spirit. We had a blast making our Lady Madonnas. Each one turned out so differently! Here’s a quick peek of our results. Thanks so much to Eva, Dawn, and Kathy for enabling me to do what I love. 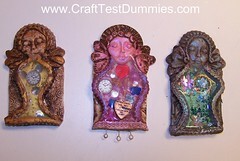 And check out my “Craft Classes with Jenny” link at the upper left if you’d like to join in the fun!